I loved Emmy, Oliver, Drew and Caro, and the dynamics between them. Emmy Drew and Caro had grown up together. They shared many inside jokes and loved poking fun at each other. It was initially hard for Oliver, coming back after a long absence, to be a part of it. Each character had their stories and struggles, even Drew and Caro who were multi-dimensional even as secondary characters. The first part of this book really drew me in and kept me turning the pages. The characters struck me as genuine and lovable and I just wanted to keep reading more about them. I was a bit impatient with the parents in this book. They were overbearing, and I get that they loved their children, but I didn’t find them to be relatable. The book lost momentum in the second half. The conflict wasn’t satisfying and it was a bit predictable how it would be resolved. I was hoping that the characters would struggle a bit more. People cried a lot in the end of the book. Don’t get me wrong, I love dramatic scenes but I felt that there was a bit too much crying, which gave the ending a melodramatic feel. Despite my misgivings about the parental figures and the slight bit of melodrama, Emmy & Oliver is a sweet and overall enjoyable YA contemporary read. Loved the humour in the dialogue and narration, which made this a fun and easy read. Loved the main character Monty, who was far from perfect. He loved drinking and hook ups, and it was a nightmare for him to run his father’s estate. However I loved all his flaws which made him a believable and interesting character. I enjoyed the setting and the premise. I liked reading about Monty and Percy’s grand tour and the cities that they visited, which made me want to travel so much! I loved the author’s notes section at the end which explained the historical basis of the major aspects of the book, which was so interesting to read. I am usually a bit intimidated by historical fiction but I loved that this book was so easy to get into. I felt indifferent towards Percy and Felicity. Percy was sweet and soft-spoken (usually my type!) however at one point I was frustrated by his indecisiveness. Felicity was a strong-willed female character and usually I loved reading about this personality type, however I felt that there could be more depth to her character. She was courageous and intelligent but at least in this book she didn’t appear to have any fears or insecurities, which I think all characters should have, even the “strong” characters. The ending was a bit predictable. 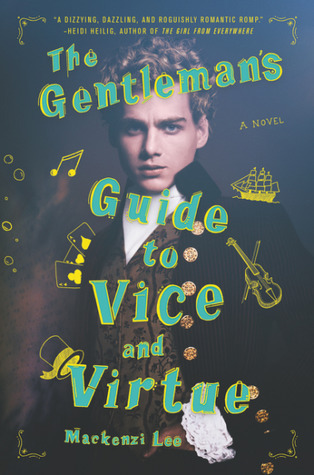 The Gentleman’s Guide to Vice and Virtue was a fun and humorous read. Though I didn’t find Percy or Felicity as relatable, I loved Monty and was always eager to read about his adventures. Have you read any of these books and how do you like them? When does a scene begin to feel melodramatic? Can a “strong” character ever be too strong? I felt the same way about Gentleman’s Guide, but I absolutely loved Lady’s Guide! Are you thinking of picking it up? It’s fantastic. Hey Naty! You know I wasn’t thinking about picking up Lady’s Guide, but I did read a great review of it recently and after seeing your comment I’m thinking I might give it a try 🙂 Glad to hear that you liked the sequel. Let me know if you pick it up, I’d love to see your thoughts on it! Great reviews for both of these books Sophie, though it’s a shame you didn’t enjoy them as much as they were hyped up to you. I haven’t heard of Emmy and Oliver but I love Sarah Dessen so seeing the blurb reference her means I’m definitely going to check it out. 🙂 I do love books with interesting and well written friendships and it seems like it has plenty of that. I’m really sorry you weren’t a massive fan of The Gentleman’s Guide, and especially that you didn’t connect with Percy or Felicity (does that mean you likely won’t be picking up The Lady’s Guide later?) but at least you enjoyed the humour and the story/concept. That’s something right?! 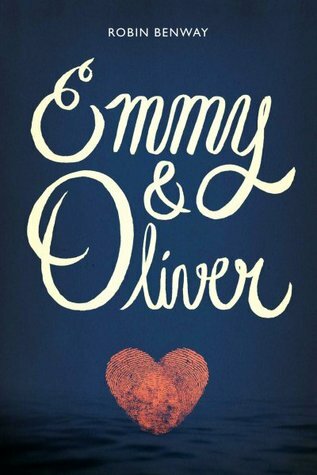 In general Emmy and Oliver is a well-loved book, so if you are looking for a YA contemporary with great friendships then it might be a worthwhile read. Far from the Tree (by the same author) also has great friendship/sibling/parent relationships as well and I think I enjoyed this book even more. I did like Felicity more in her books than in Monty’s (though I loved her in Monty’s too), she was more human, she had flaws and grew when she faced them. It was a great read so hopefully you’ll enjoy it more too. Definitely, I think you’d probably enjoy it a little more too. Interesting books here, Sophie. I think my teen would like both. I have read Robin Benway’s Also Known As and loved that secret spy series.